The Lab Series Rescue Squad Set combines three must-have skincare treats to expertly cleanse, treat and moisturise your skin on a daily basis. Promoting smoother, healthier-looking skin, the face wash, serum and protective face cream work in synergy to combat signs of ageing whilst nourishing and protecting your face and neck. 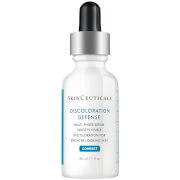 An award-winning, anti-ageing serum that works to visibly diminish signs of ageing. The high performance formula utilises a 'Quad Focus' approach; it defends, detoxes, rebuilds and repairs to promote a renewed and younger-looking complexion. Described as the skin's first line of protection to help combat visible ageing, it defends against environmental aggressors, promotes natural repair process and collagen production, and reinforces the skin's natural protective barrier. Expect a smoother, younger-looking and revitalised complexion. Suitable for all skin types. This moisturiser offers lightweight all-day moisture and environmental defence for fresher, healthier-looking skin. Helping to protect from the damaging effects of sun exposure and prevent premature ageing, the lotion continuously hydrates, smoothens and reconditions your skin. Packed full of antioxidants to help guard against the signs of ageing, the formula also delivers solar-activated protection from harmful UVA/UVB rays, smoke and pollution. Face Wash: Massage into damp face and neck, then rinse with warm water and pat dry. 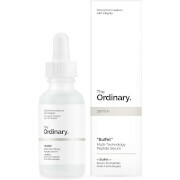 Serum: Pump 2-3 times onto fingertips and apply on clean skin day and night before your moisturiser. Moisturiser: Apply to face and neck every morning after cleansing or shaving. Serum: Water\Aqua\Eau, Butylene Glycol, Bis-Peg-18 Methyl Ether Dimethyl Silane, Alcohol Denat., Biosaccharide Gum - 1, Peg-6, Glycerin, Acetyl Hexapeptide-8, Sigesbeckia Orientalis (St. Paul's Wort) Extract, Plankton Extract, Algae Extract, Lactobacillus Ferment, Micrococcus Lysate, Yeast Extract\Faex\Extrait De Levure, Scutellaria Baicalensis Root Extract, Morus Nigra (Mulberry) Root Extract, Lycium Chinense (Wolfberry) Fruit Extract, Acetyl Glucosamine, Vaccinium Macrocarpon (Cranberry) Fruit Extract, Vaccinium Angustifolium (Blueberry) Fruit Extract, Vitis Vinifera (Grape) Fruit Extract, Camellia Sinensis (Green Tea) Leaf Extract, Aminopropyl Ascorbyl Phosphate, Ergothioneine, Biosaccharide Gum-4, Tocopheryl Acetate, Caffeine, Nylon-12, Trehalose, Sodium Hyaluronate, Sucrose, Polysorbate 20, Peg-11 Methyl Ether Dimethicone, Xanthan Gum, Fragrance (Parfum), Lecithin, Ammonium Acryloyldimethyltaurate/Vp Copolymer, Citric Acid, Silica, Disodium Edta, Bht, Phenoxyethanol. SPF Moisturiser: Octinoxate 7.50%, Octisalate 3.00%, Avobenzone 2.00%Water\Aqua\Eau, Butylene Glycol, Silica, Hydrogenated Polyisobutene, Neopentyl Glycol Diethylhexanoate, Cyclopentasiloxane, Pentylene Glycol, Hydrogenated Lecithin, Ethylbisiminomethylguaiacol Manganese Chloride, Saccharomyces Lysate Extract, Acetyl Carnitine Hcl, Betula Alba (Birch) Bark Extract, Phytosphingosine, Creatine, Octyldodecyl Neopentanoate, Coffea Robusta Seed Extract, Astrocaryum Murumuru Seed Butter, Ascorbyl Tocopheryl Maleate, Acetyl Glucosamine, Linoleic Acid, Sodium Hyaluronate, Tocopheryl Acetate, Cetearyl Alcohol, Polyphosphorylcholine Glycol Acrylate, Acrylamide/Sodium Acryloyldimethyltaurate Copolymer, Phospholipids, Ethylhexylglycerin, Isohexadecane, Cholesterol, Neopentyl Glycol Diisostearate, Acrylates/C10-30 Alkyl Acrylate Crosspolymer, Caprylic/Capric Triglyceride, Glycerin, Lecithin, Behenyl Alcohol, Rosmarinus Officinalis (Rosemary) Leaf Extract, Chamomilla Recutita (Matricaria), Ethylhexyl Stearate, Carbomer, Ethylhexyl Palmitate, Propylene Glycol Dicaprate, Cyclodextrin, Nordihydroguaiaretic Acid, Sodium Dna, Linolenic Acid, Triethanolamine, Sodium Hydroxide, Polysorbate 80, Hexylene Glycol, Disodium Edta, Potassium Sorbate, Sodium Dehydroacetate, Chlorphenesin, Phenoxyethanol, Sorbic Acid.